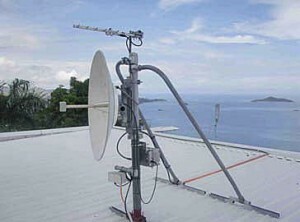 View of 90° sector antenna used by bidirectional repeater.Hitron, the leading communications company in Papua New Guinea has successfully launched a new high-capacity wireless DOCSIS data service, which covers the complete area of the capital city, Port Moresby and its surroundings. The new system operates within the 10.5 GHz band for both downstream and upstream traffic. It delivers reliable high-speed data, providing Hitron’s valuable customers with a modern, reliable and fast data link for all their sites The Base Station equipment is designed for seamless interface with existing standard DOCSIS hardware and software. Main communication tower in Port Moresby where the Base Station Sector Antennas are installed. 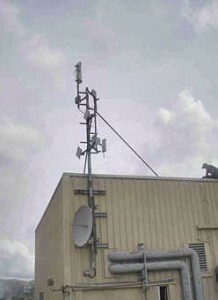 In conjunction with several repeaters, the four sector base station provides high-capacity data connectivity to high value customers. Two-way MMDS repeaters are being installed by Multicanal in Asuncion (Paraguay) to provide wireless Internet service to several areas previously served by one-way repeaters for TV signals only. With the new two-way repeaters, TV subscribers in the coverage areas will also be able to subscribe to wireless Internet service. A wireless data system has been installed in La Paz, Baja California (Mexico) to provide redundancy backup to a high capacity fiber system. Cable AML’s BWA-2002 system provides IP-based high throughput data service between a centrally located base station and a number of subscriber stations. Because of the Point-to-Multipoint architecture, service to additional customers can be easily provided by simply adding additional remote units. 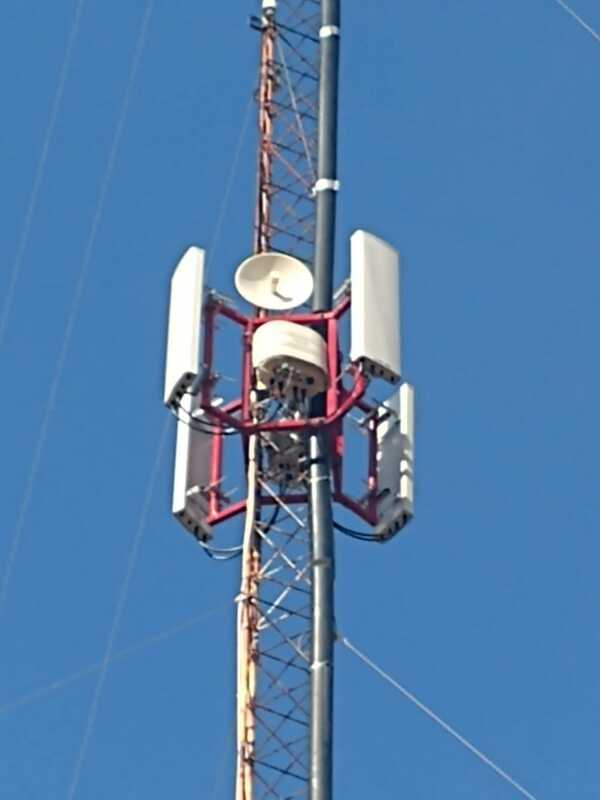 The system’s base station was installed at the same site planned for an MMDS system and shares the same transmitter and antenna. The system shows how wireless data systems can provide path redundancy to critical fiber data links in dense urban environments where frequent construction activity is likely to result in interruption of service due to fiber cuts. A new addition to state-of-the-art wireless technology has recently been unveiled by Cable AML-an IP-based, full-duplex, two-way, Broadband Wireless Access System. The system, dubbed the BWA-2002, is a fixed-wireless communication platform primarily intended for applications such as high-speed Internet access, LAN extension, virtual private networks (VPN’s) and voice over IP (VoIP) applications using the MMDS frequency band (2.1 to 2.6 GHz). The BWA-2002 is one of several systems in the BWA-2000 family of Broadband Wireless Systems developed by Cable AML. Other models operate in the 3.4 to 3.6 GHz and 10.15 to 10.65 GHz bands. The BWA-2002 is designed to operate within the standard MMDS channelization scheme, where the available spectrum is sub-divided into 31 channels, each 6 MHz wide. Each individual channel can be assigned for either down-stream data transport or TV distribution. Each downstream channel can provide a data throughput of 30 Mbps with 64 QAM modulation format, or one standard VSB-AM NTSC analog TV program (PAL/SECAM programs can be implemented with a different channel plan). Upstream transport is implemented by multiplexing 3 carriers for every 6 MHz of available bandwidth. Each QPSK-modulated carrier has a nominal bandwidth of 2 MHz and provides an upstream data throughput of 2.56 Mbps. The BWA-2002 consists of three key subsystems: the headend, the RF transceiver/antenna, and the Customer Premises Equipment (CPE). The headend typically houses one or more modems (HMTS or Headend Modem Termination Systems), an SNMP-based integrated Network Management System, and a QoS (Quality of Service) module. Each HMTS can service thousands of subscribers and provides three full-duplex (bi-directional) Ethernet 10BaseT data interfaces to a switched hub. The 10BaseT ports on the switched hub provide direct connectivity to local headend servers and access to Internet and remote servers via a router. The RF transceiver/antenna configuration is determined by the system requirements, and can be either co-located with the data equipment or remotely connected via wireline or microwave STL. The CPE equipment includes an integrated antenna/outdoor transceiver and an indoor modem. Cable AML is a leader in the development and implementation of Broadband Wireless Access Systems. In fact, the BWA-2000 access platform is only one of four access platforms developed over the last two years. Our complete Broadband Wireless Access Product Line makes it possible to match the optimum platform to each customer’s requirement. Contact Cable AML Sales for further information. Thousands of households in Maputo, the capital city of Mozambique, on the African continent, can now enjoy Digital TV and Internet access thanks to a new Digital MMDS System integrated with a Wireless Internet System. The integrated system consists of a Base Station and subscriber equipment. A Cable AML Indoor, 200 Watt Transceiver at the base station transmits digital data carriers from an existing Cable TV headend nearby. The transmitter output is routed to a 200 foot transmission line that feeds an omnidirectional antenna mounted at a height of 180 feet at the top of a transmission tower. The MMDS system transmits five digital PAL B/G DVB carriers, or a total of 40 TV programs modulated with 64-QAM. The DOCSIS wireless downstream carrier is also modulated at 64 QAM. After only two years of commercial operation, AR Telecom’s Wireless Triple Play System in Lisbon (Portugal) has reached the 60,000 billed services mark and is expected to reach 75,000 services before the end of the year. The system, designed by Cable AML, is the largest wireless triple-play (digital TV, voice and data) system in the world. Operating in the 28 GHz frequency band, it features state of the art equipment transmitting over 40 digital video channels and providing broadband Internet access as well as VoIP over standard DVB and DOCSIS access platforms. Commercial services include Internet access with up to 10 Mbps, up to two telephone lines and 44 high quality digital TV channels divided in several bouquet and premium packs. The Lisbon system features 13 base stations and over 1,200 nodes, with each node serving an average of 100 homes and providing around 40 triple play services to subscribers. The use of standard access platforms has also allowed the seamless integration of a small existing cable plant into the existing wireless system. The cable plant now provides the same services as the wireless system. This is an excellent example of the compatibility and complementary between the HFC cable plant and Cable AML´s Wireless Triple Play System. The commercial success of this system, even in a high infrastructure and competitive country such has Portugal, has prompted plans for expansion to other countries, currently in process. A “triple play”, point-to-multipoint wireless system capable of providing simultaneously digital TV, high-speed data and voice has been delivered and installed in Izuka City, Fukuoka Prefecture, Japan. The state-of-the-art system is being operated by V-Networks to provide triple play services to remote stations at distances of up to 5 Kms from the Main Base station. According to an article in Denpa Shinbun (Electric wave Newspaper) on May 14th 2007, the system installation and operation is the result of a collaboration between NetOne Systems, Kyushu Institute of Technology, Kinki University, Nitsuki, HTK and V-Network Systems. This system will be operated on a trial basis for three types of service: Retransmission of DTV (Digital Terrestrial Television), with broadcast signals from RKB/Fukuoka. Transmission of independent video content. Internet Access and Data Communications Services. Following the Izuka City trial, other Pilot installations are being planned in different areas of Japan such as Tohoku and Hokkaido. Cable AML has delivered a two-way Repeater to increase the coverage area of a Broadband Wireless System operating at 28 GHz. Two-way Repeaters can expand coverage of point-to-multipoint fixed wireless systems at lower cost than installing new base stations. Repeaters are particularly cost effective in cellular systems with a line-of-sight requirement, because they provide extended system range without having to install additional backhaul capacity. Cable AML has successfully delivered and installed two-way repeaters for fixed wireless systems operating from 2.5 to 28 GHz. The repeater is now part of a system providing multi-carrier digital television, high-speed Internet access, and VoIP capability. Cable AML has completed delivery of a state-of-the-art 26 GHz LMDS (Local Multipoint Delivery Service) system designed to provide two-way data services with an IP-based access system. Cable AML developed both the Base Station Transceivers and the CPE (Customer Premises Equipment) Transceivers. Two types of Base Stations were developed, one designed for single-carrier applications and a broadband, high-power unit designed for backbone and macro-cell multi-carrier applications. Multi-carrier Base Stations can be implemented with a relatively large cell divided into two sectors for small to medium cities or semi-rural areas, whereas single-carrier base stations are desired for multi-sector, high-traffic density cell sites associated with multi-cellular deployments in large cities. Cable AML has developed a family of state of the art CPE Transceivers (Customer Premises Equipment) designed for use at frequencies from 24 – 31 GHz. The CPE 26TR-001 is designed for operation in the 24 to 27 GHz band. The CPE28TR-001 is designed for operation in the 27 to 31 GHz band. Transceivers are two-way, full duplex (transmit and receive) outdoor RF units designed for digital video and LMDS applications. The transceiver features a solid state modular design consisting of block down-converter, transmitter and diplexer modules. The receive modules have output IF frequencies compatible with either DOCSIS (VHF and UHF) or DAVIC (L-band) standards. The transmit module input frequency range is in the 45 to 65 MHz band. A single cable provides the interconnection with the subscriber indoor modem unit, and also provides DC power to the transceiver. The transceiver outdoor package is mechanically integrated with several different types of antennas depending on the system gain requirements. The integrated design greatly facilitates installation, mounting and alignment (in either horizontal or vertical antenna polarization). Cable AML has just released the BWA-1028 and BWA-4028S Broadband Wireless Access Systems. These compact fixed-wireless systems are ideally suited to provide “last mile”, two-way data service capability to subscribers requiring high-speed connectivity. The BWA-1028 system provides dedicated bandwidth connectivity, whereas the BWA-4028S provides multiple-carrier, multi-service capability well suited for commercial trials. The systems operate in the 27.5 to 28.35 GHz or the 28.25 to 28.75 GHz bands for downstream transmission and the 31.0 to 31.3 GHz band for upstream transmission. Range varies between 1 and 4 miles (1.6 and 6.4 Km) depending on climate, capacity utilization and other factors. There are multiple-carrier, FDD (Frequency Domain Duplexing) systems capable of supporting multiple carriers with either QPSK, 16-QAM or 64-QAM modulation. The BWA-1028 employs FDM (Frequency Domain Multiplexing) in both downstream and upstream directions, whereas the BWA-4028S is an FDM system with shared-access capability implemented via TDM (Time Domain Multiplexing) for the downstream and TDMA (Time Domain Multiple Access) for the upstream. Either shared-bandwidth or dynamically allocated bandwidth (bandwidth-on-demand) is available for the upstream. The BWA-1028 system principal application is for high-capacity private data networks, with data rates ranging from E1/T1 (approximately 2 Mbps) to 10 Mbps per subscriber. Like all members of Cable AML’s family of Broadband Wireless Access Systems, the BWA-1028 and BWA-4028S systems are deployed in a cellular architecture. The number of subscribers within a given cell is determined by many factors. The most important factor are the number of sectors within the cell, the access system employed, and the modulation format associated with each access system. Frequency re-use plans are required for multiple cell operation. The systems are inherently scalable in terms of the number of sectors per cell as well as the number of carriers per sector. A four-sector RF Hub implementation consists of four transceivers and four 90-degree sector antennas. At the subscriber’s site, a single dish serves as both receive and transmit antenna. The CPE (Customer Premises Equipment) Transceiver consists of an outdoor transceiver integrated with a 35 cm. diameter antenna. The Transceiver is connected to an indoor modem or NIU (Network Interface Unit), which provides the interface to the subscriber equipment (10BaseT, T1/E1, POTS, etc, depending on the requirements). Cable AML has delivered key hardware for a multi-channel Broadband Wireless Access System for two-way data communications and online services in the People’s Republic of China (PRC). Using point-to-multipoint wireless technology as the “last-mile” solution, the system will make it possible to offer high-speed Internet connections to schools and business customers in Beijing. Cable AML’s family of BWA (Broadband Wireless Access) systems is a flexible and scalable point-to-multipoint “last mile” broadband solution system designed to provide high-quality, low-cost, high-speed Internet and other telecommunications services to the customers. ASPAC Communications, Inc. (ASPAC, www.aspac-com.com) is a leading provider of fixed wireless broadband interactive communications and online services in the People’s Republic of China (PRC) through its joint venture subsidiary YeeYoo.net (YeeYoo). ASPAC’s joint venture partners include China Education and Research Network (CERNET), second largest ISP in China, and Beijing Sino-Tech Science and Technology Development Center (SINOTECH). The combination of CERNET and SINOTECH provide the joint venture with access to over 20,000 kilometers of nationwide fiber backbone and operation services, reaching 35 major cities or over hundreds of millions of potential clients in the People’s Republic of China (PCR). Broadband Fixed Wireless systems using LTE technology, such as the Laguna system from Cable AML, can provide COST EFFECTIVE high-speed Wireless Internet access to hundreds of customers at distances in excess of 20Kms. 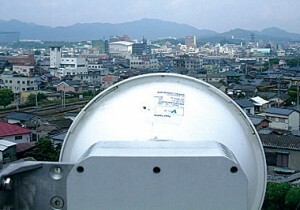 The fixed wireless system shown in the photo covers a complete city and some of the surrounding semi-rural areas with a Laguna system operating in the 2.5 GHz band. The system configuration consists of four 90 degree sectors to provide a complete 360 degree azimuth coverage. It provides 118 Mbps throughput per sector for every 20 MHz of available channel bandwidth in the TDD mode. The system provides subscribers with basic IP connectivity with a wireline-like user experience and it allows Layer 2 VPN or Carrier Ethernet services for business and enterprise users. The system’s modular approach allows for gradual deployment to maximize bandwidth availability over specific areas of high concentration of customers. 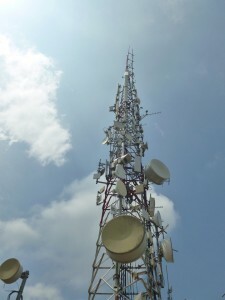 A new Base Station Transmitter was installed by INTERCOM to power the wireless Internet system in San Miguel, El Salvador. San Miguel is the second most important city after the capital, San Salvador. With a population in excess of 200,000 people, it is located 138 km east of the capital and it is also the capital of the Department of San Miguel. 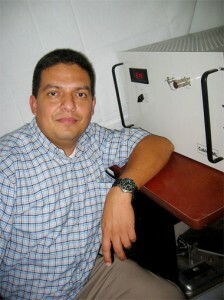 INTERCOM was the first company to install and operate a broadband wireless system in Central America. 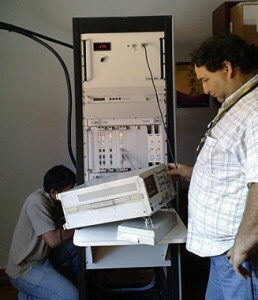 The wireless DOCSIS system has been in continuous operation in El Salvador since 2002. Cable AML has supplied several custom-frequency upstream base station receivers to wireless DOCSIS systems in Siauliai and Panevezys, Lithuania. According to Jevgenij Plaksin of Balticum TV, the outdoor base station receivers make it possible to increase system capacity in a cost-effective manner by sectorizing the upstream portion of the system. Balticum TV Ltd is one of the largest Cable TV operators in Lithuania, providing “triple play” (TV, Internet and IP Telephony) service. The company has been providing DOCSIS cable modem service in its cable plant since 1999 and wireless Internet in is Kalipeda MMDS service since 2002. The Cable AML receivers were installed in November of 2005 in Siauliai and in December in Panevezys. Both places are now in operation with commercial subscribers. Digital MMDS Operator Univisa, the biggest MMDS operator in Ecuador, has just inaugurated wireless Internet service in the city of Guayaquil and is planning extension of the service to the capital Quito and the rest of the areas served by the MMDS system. The upgrade has been accomplished utilizing the same transmission and repeater infrastructure in place for the existing MMDS system by adding two-way transmission capability. Univisa’s technical staff planned and executed the system upgrade with DOCSIS wireless technology and components provided by Cable AML. The system started service utilizing one channel pair but was designed for expansion until the full bandwidth available is fully utilized. Following a successful upgrade of an analog MMDS system to digital, HITRON Ltd. has successfully launched an integrated Wireless Internet System. The new system allows HITRON to offer high speed Internet service to the same footprint of TV subscribers served by the existing digital MMDS system, using the existing transmitter and repeaters. The system upgrade involved integrating the Base Station DOCSIS equipment to the existing transmitters and implementing an upstream return path. Subscribers have the option of using two-way transceivers allowing for simultaneous digital TV and wireless Internet service in remote areas of Papua New Guinea. It was particularly important to HITRON to be able to use existing MMDS repeater sites and infrastructure because of the high cost of acquiring, commissioning and maintaining repeater sites in remote locations. When local provider CMM needed Base Stations for their new in-band Wireless Internet system, the choice to contact Cable AML for a solution was like placing a call to an old friend. Cable AML has earned CMM’s loyalty by providing the highest quality products and first rate service for many years. CMM executives and engineers were pioneers in the installation and operation of Wireless DOCSIS systems, also supplied by Cable AML. The new system operates completely within the 2.5-2.7 GHz band for both downstream and upstream traffic. The Base Station equipment is designed for seamless interface to a fiber backhaul connection to the Data Center more than 25 Km away. The Base Station can provide wireless Internet service to thousands of customers. Wireless Internet provides broadband “always on” Internet connectivity. Cable AML has delivered a state-of-the-art FWA (Fixed Wireless Access system) operating in the 3.5 GHz band. 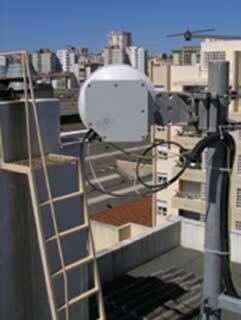 The system was designed to meet the requirements of a recently auctioned fixed wireless 3.5 GHz band in Asia. Cable AML’s BWA-2003 provides a standards-based wireless platform for enabling next-generation IP-based services. The system allows 27 Mbps shared data bandwidth per sector, with easy expansion capability up to 100 Mbps, while maintaining full IP functionality. The BWA-2003 is an open, modular system, which is attractive to operators because they no longer need to worry about proprietary systems that can quickly become obsolete. The BWA-2003 provides High-speed Internet access, LAN Extensions, Virtual Private Networking, Voice over IP, Video Conferencing, Distance Learning and Dedicated High-speed connections in a single, powerful and rugged package. The BWA-2003 features shared access based on the latest FDM/TDM/TDMA technology for maximum flexibility, power and capacity. The system provides high-speed connectivity to a large number of subscribers with high spectral efficiency, thanks in part to features such as programmable modulation formats (64-QAM downstream and QPSK and 16-QAM upstream). An 18-month trial of a “triple play” wireless system capable of providing simultaneously digital TV, high speed data and voice has been successfully concluded in Izuka City, Fukuoka Prefecture, Japan.The state-of-the-art system has being operated by V-Networks to provide triple play services to remote stations at distances of up to 5 km from the Main Base station. Based on the trial data report submitted by V-Networks, the Japanese government gave an extremely high evaluation to the 18 GHz trial system for local government service. This frequency was allocated for data transmission until now, but as a result of the triple play service trial results, the Japanese government decided to revise the law. On December 2008, the government solicited public comments and a revised law was issued in February 2009.As a result of the Government action, the system has received nationwide attention and V-Networks is planning nationwide deployments in time for the mandated conversion of analog to digital TV signals planned nationwide for July 2011. The broadband system can provide service not only for Terrestrial digital TV broadcastand Internet service but also for Local government LAN service, emergency broadcasting and other critical Local Government functions. 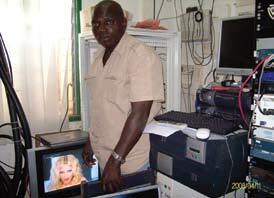 DISAT Ingenierie and Informatique has installed some of the most technically advanced equipment in the world for the company’s integrated MMDS and Wireless Internet service in Bertoua, capital of the east province of Cameroon (Africa). Bertoua has a population of approximately 175,000 people. The system delivers broadband MMDS services in a point-to-multipoint configuration in the 2,500 to 2,686 MHz band, broadcasting digital TV channels in the standard PAL B format through Cable AML’s 250 Watt broadband transmitter.The same transmitter is used to broadcast the downstream carriers of a wireless DOCSIS high-speed Internet access service with capabilities for data and VOIP. “Each subscriber receives the TV channels and Internet data signals through a downconverter and transmits the upstream Internet data through a transmitter in the 2.3 GHz band. The TV signal is decoded via a set-top box and the Internet signal is fed to a standard DOCSIS Cable Modem,” said General Manager G. Togna. DISAT plans to provide service to 2500 TV subscribers and 500 Internet subscribers in a 10 km radius in the immediate future. As the subscriber base grows and creates more demand, the Cable AML modular design system will make future upgrades simpler and more affordable. Cable AML has delivered the fourth generation design of a state-of-the-art two-way Broadband Repeater System operating in the 28 GHz band. The system is intended to extend the range of existing Base Station transceivers to areas of up to 1.5 km radius which are outside the coverage area of the Base Station due to line-of-sight blockage. The two-way repeaters consist of a forward and a return module (Modules A and B, respectively), connected by cables so that they can be mounted, if required, away from each other, for example, on opposite sides in a building. This is to facilitate mounting in unobtrusive locations without incurring excessive feed-back between the transmit and receive antennas. Each module performs as an integrated transceiver (transmitter and repeater) with separate signal paths for the downstream and upstream signals. In a typical application, downstream signals include digital TV and data carriers. Upstream signals are exclusively data carriers. 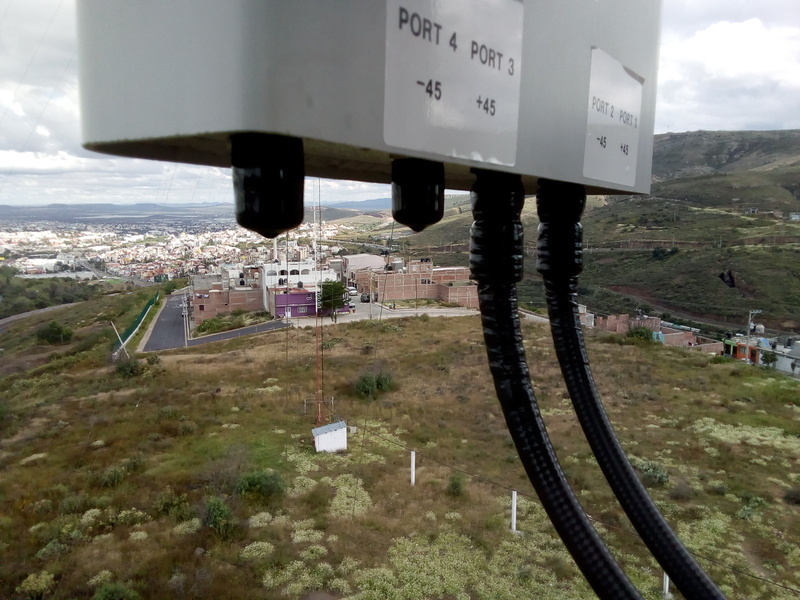 Cable AML has delivered two TRX28-130 base station transceivers and two OAR28-001 broadband outdoor repeaters to Terminales de Telecommuicaciones Terrestres in Spain. The high-powered gear will be used in a new network that will begin operations in Lisbon, Portugal and gradually spread throughout the country. The advanced broadband network uses the Digital Video Broadcast-Terrestrial (DVB-T) encoding standard to deliver multi-channel video and next-generation Internet, interactive TV services, telephony and residential video conferencing. The second-generation base station utilizes high power Traveling Wave Tube (TWT) technology, which is widely used in satellites because of its reliability and high efficiency. Low-cost repeaters extend the range of the base station, enabling the near non-line-of-sight (NLOS) network to reach as much as 90 percent of potential urban customers at an economically viable cost. The broadband high power Base Station Transceiver accepts 14 digitally modulated carriers. Each has a data rate of 30 Mbps for a total downstream capability exceeding 500 Mbps. The hardware incorporates several enhancements, including Global Positioning Satellite (GPS) frequency-locking capability for remote synchronization. This is a requirement imposed by the Orthogonal Frequency Division Multiplexing (OFDM) modulation used by the digital TV carriers in the system. The two-way solid-state repeaters do not require expensive re-generation equipment. A flexible design allows the input and output sections of the receivers to be mounted at varying distances from each other. This means that they can be located on ordinary rooftops without the need for elaborate towers or structures. 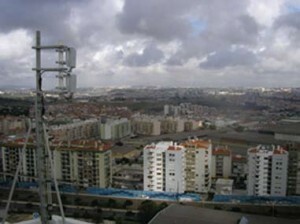 A high frequency 28 GHz Local Multipoint Distribution System (LMDS) has been installed in Lisbon, Portugal. The multi-cell system provides broadband bi-directional multimedia and data services, including Subscription Digital TV, High Speed Internet, Video Conferencing, VoIP and High Speed Data Interconnect. The system architecture is based on high-capacity macro cells (5-Km radius) interconnected to a central headend and data center by a bi-directional AML link. Smaller data cells within the service area are interconnected by in-band 28 GHz point-to-point links routed through the high-capacity LMDS transceivers in the macro-cells. The system’s cellular structure and the AML backbone for trunking provides the operator with maximum flexibility to optimize coverage in desired target areas regardless of the availability of fiber interconnections between cells. At the headend, a digital TV satellite reception system provides digital TV multiplexed channels for TV broadcast. MPEG-2 compatible data streams are multiplexed with the video data streams in the downstream direction. The system’s upstream data capability makes it feasible to implement true subscriber interactivity. The customer equipment consists of a 28 GHz CPE (see article on page 4) Transceiver with an integrated 10 inch parabolic antenna. Dual outputs provide separate TV and two-way data capabilities. Cable AML is proud to have contributed LMDS and AML hardware to what is undoubtedly the most advanced multimedia LMDS system in the world. Cable AML recently delivered a fixed wireless system operating in the 26 GHz band. The BWA-1026 system is providing high-reliability dedicated access to customers in several locations at data rates of 2,048 Kbps. The system consists of a base station transmitter integrated with a sectorial 90 degree antenna and CPE (Customer Premises Equipment) units, each consisting of an outdoor unit housing the RF unit (integrated with a directional 12 inch diameter antenna) and an indoor unit. The high-performance point-to-multipoint system was designed with integrated programmable data rate modulators operating in the QPSK modulation format with a V.35 data interface at both ends. Cable AML has delivered a bidirectional (two-way) repeater designed to extend service to a “shadow” area within the main beam of an MMDS system that simultaneously broadcasts one-way multi-channel video and provides two-way data service. Cable AML’s model IAR02-030 on-frequency, active, bi-directional repeater allows extension of coverage to areas not illuminated by the main antenna. Systems originally designed in a macro-cell configuration for multi-channel video distribution (MMDS) service often have pockets of subscribers which can not receive signals due to line-of-sight blockage from natural or man-made obstacles and/or topographic features such as mountains or depressions. Cable AML’s two-way repeaters are designed to extend the reach of these systems to simultaneously provide multi-channel video and two-way data coverage. 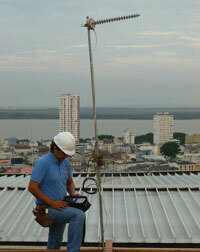 The repeater was installed to illuminate the area near downtown Asuncion (Paraguay). The area includes most of the central business district, and it has a relatively low density of TV subscribers but a high-density of two-way data subscribers. Cable AML’s repeater is a viable and cost-efficient approach to extending two-way data service to a high yield area. The repeater, model IAR02-030, is a bi-directional, broadband, multi-carrier active repeater designed to operate upstream in the 2.150 to 2.162 GHz band and downstream in the 2.5 to 2.7 GHz band. Other models with higher power levels and at other frequency bands are available. Cable AML has delivered a BWA 2002 integrated broadband wireless access system. The BWA-2002 System is a full-duplex, two-way, fixed-wireless communication system operating in the MMDS / MDS frequency bands (2.500 to 2.686 GHz for downstream and 2.150 to 2.162 GHz for upstream). The system is designed to co-exist with an existing multi-channel analog TV distribution service. Future upgrades under consideration include additional channels of two-way data and a digital upgrade of the multi-channel video system. The main application of the system is for high-speed Internet access, although other IP-centric services such as LAN (Local Area Network) extension, VPNs (Virtual Private Networks) and VoIP (Voice over IP) can also be implemented depending on market conditions. The BWA-2002 system utilizes the 2500 to 2686 MHz MMDS band for downstream transmission. The band is divided into thirty-one channels, each 6 MHz wide. Each downstream data channel has a throughput of 30 Mbps (using 64 QAM modulation format). The upstream channels are in the 2150 to 2162 MHz band. Upstream channels of 0.2 MHz to 3.2 MHz bandwidth can be implemented. Upstream data throughput is up to 5.12 Mbps with QPSK modulation or 10.24 Mbps with 16QAM-modulation. As with any system developed by Cable AML, this BWA equipment was integrated at our Torrance facility and tested as a system. When the testing was completed, the customer’s engineering staff attended a comprehensive training program on system deployment, operation, and maintenance at the Cable AML factory in Torrance. The training was conducted under near operational conditions using the customer’s own equipment. This approach to training serves to make field deployment and operation more effective.